Oh so pretty and great tasting too. 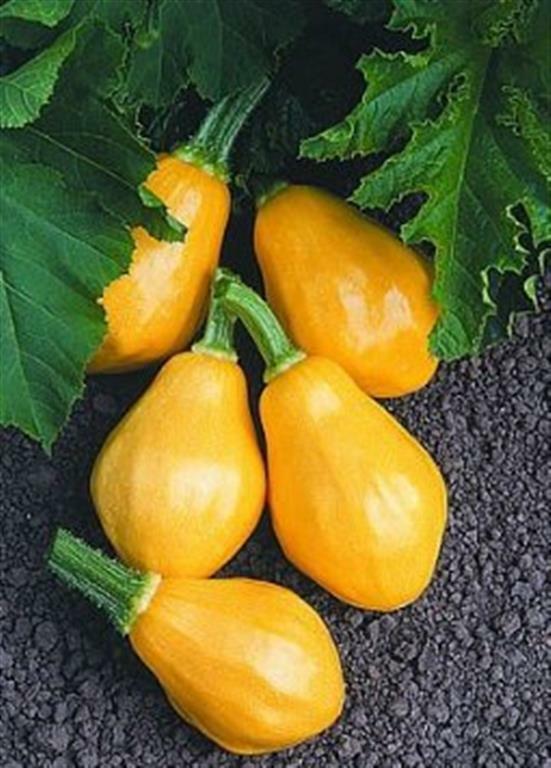 This gorgeous shiny bright yellow Papaya pear (hence the name) shaped courgette is best picked young and small When picked tiny can be pickled like gherkins for an extra special preserve. Also known as lemon squash because of it's fabulous lemon yellow skin colour. Easy to grow, early and very prolific so pick regularly for a constant supply throughout the growing season.